The use of stainless steel in kennels and around the home for pets has many benefits, mainly hygiene, ease of cleaning and durability. 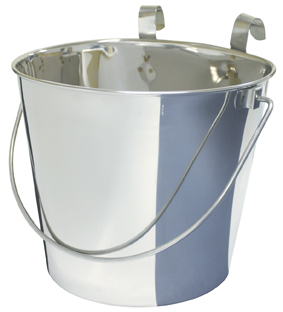 The flat sided stainless steel bucket attached with either one or two hooks has proven to be suitable for a multiple range of uses. If you order 3 or more of these buckets in either size, you can save $2 off each one purchased. To take advantage of this offer, simply select "Multi-buy saving" at Extras/Savings Package before adding selected items to your Cart. 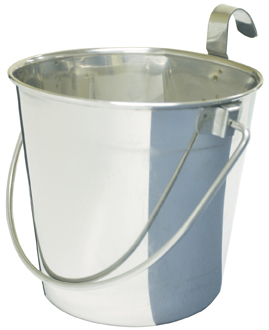 If you wish to buy more than 10 buckets, please e-mail onlinestore@bowhouse.com.au, or call our wholesale office on 02 8011 0205 for a quote.